Locally, the East End of Long Island is affected by raccoons, opossums, squirrels, moles, voles, rats, mice, and chipmunks. 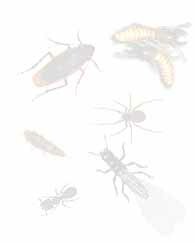 All of these pests can be trapped and effectively controlled when the right techniques are used. On our staff, we have five certified NYS animal trappers who are readily available to first explain the process involved in nuisance wildlife trapping and then to do the service the right way. Note: For infomation on invertibrate pests, including spiders, crickets, ground beetles, and ants, click here. The right way is the humane way. NYS law mandates that an animal trapper check his traps each day to check for trapped animals. Allowing a raccoon, for instance, to be trapped in a hot attic for more than 24 hours is cruel and unusual, and our trappers are sure to follow the law right down to the letter when practicing their trade. Each nuisance wildlife situation is unique and analyzed on a per-problem basis. The initial charge for most nuisance wildlife trapping services covers between 5 and 14 days of trapping (with daily checks when traps are live). Additional animals are trapped and removed for and additional nominal fee. Trapping an animal is not a one-time event. After we trap an animal, we are sure to explain the proper way to guard against animals returning to their former home. Our trappers will explain how to properly repair an opening or other point-of-entry for the animal, and in appropriate cases, will use special wire mesh to plug small holes where rodents might gain access to your house. We provide a temporary closure to ensure that the animal will not return to their former home.